Besides being a company that designs and manufactures sweeping arms and accompanying products, Koseq is also exclusive sales agent for the Netherlands and overseas Netherlands of our English business partnering company Vikoma. Through this, Koseq is not only able to offer its own product range of oil recovery products but that of Vikoma as well. Both companies have a combined experience of over 100 years in bringing oil spill solutions. This makes Koseq the one-stop-shop for Sweeping Arms and the complete range of state-of-the-art oil recovery equipment like booms, skimmers, tanks, pumps and other equipment. See www.vikoma.com for more information. Koseq is part of the shipbuilding group, the Thecla Bodewes Group. This group consist of a number of shipyards in Kampen, Meppel, Hasselt and Harlingen which can build new vessels and execute repairs, lengthening and special maritime projects. The group specializes in building lightweight inland navigation vessels, day-passenger ships, pushers, fishing cutters and low-profile coasters. Because of this background Koseq is ready and happy to support with newbuildings or other maritime engineering challenges as well. 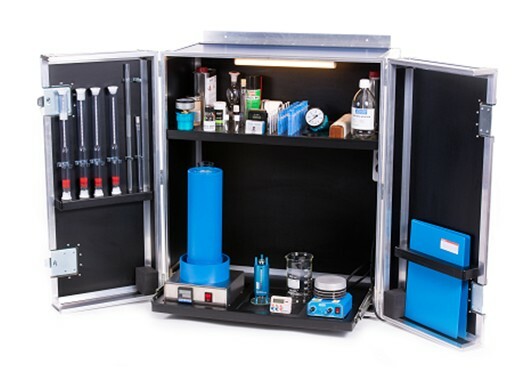 This makes Koseq the right partner for your oil spill solutions. See www.tbshipyards.com for more information. Diesel driven hot water high pressure washing equipment. Oil-and-water tank level measure equipment. Koseq is able to offer such equipment to fulfill the purpose of general (offshore) oil recovery equipment. Please enquire for other possibilities.